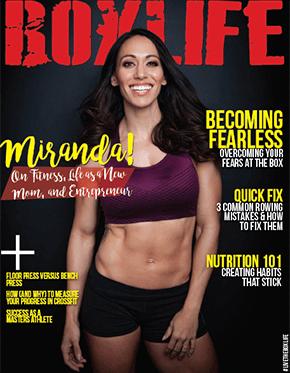 The Fearless Miranda issue is here! Miranda talks about her journey through injuries, competition and now life as a new mom and her new online programming venture Street Parking for athletes who train at home. Also in this issue, how to overcome common training fears, correcting mistakes on the rower, tips to making nutrition habits stick, and much more!